BBQs and 4th of July are synonymous to me, so I was happy to attend my friend’s BBQ and enjoy bacon-wrapped mini sausages, chicken wings, salmon steak and grilled peaches. 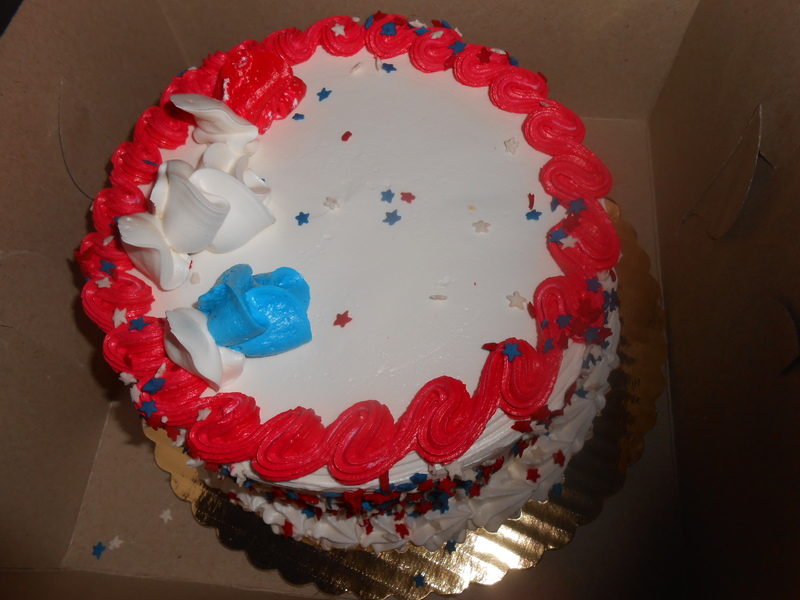 We also had a wonderful white frosted cake with red trim, and a blue flower. Inside was layered white cake with chocolate frosting in between, which was so darn delicious (however, a bit overly sweet)! 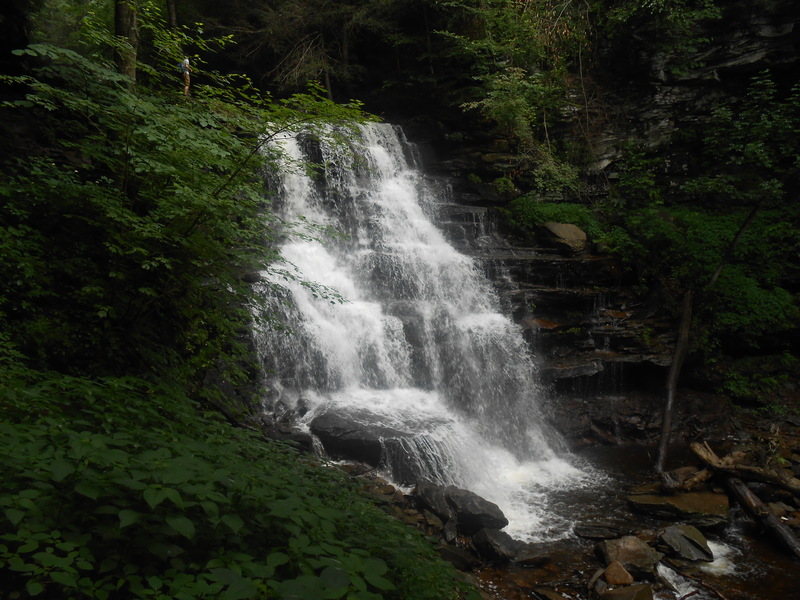 We enjoyed several different street fireworks displays and the next day I prepared to go camping at Ricketts Glen State Park in Pennsylvania with a group of people. I had a wonderful time. 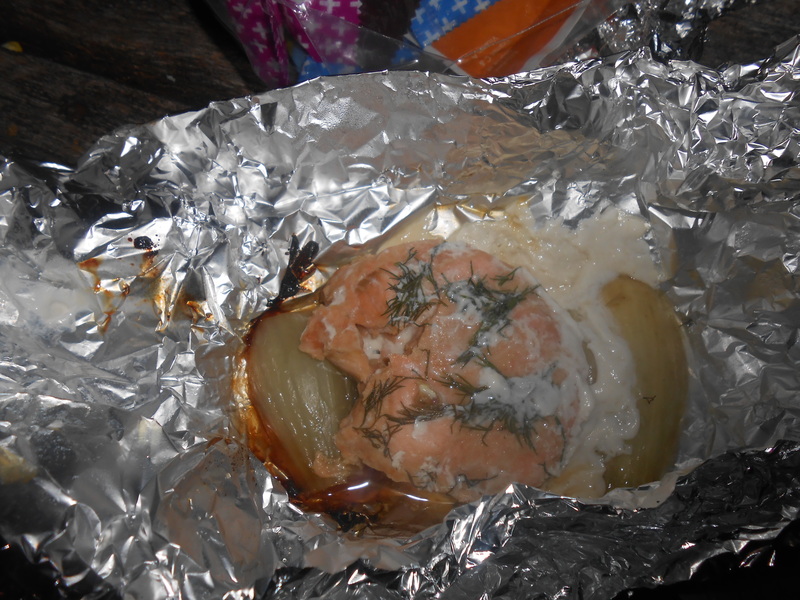 Once again, there was soo much food… I had salmon on top of fennel and sprinkled with thyme. There was also marinated ribs, jerk chicken, steak, sausage, corn, yams! Saturday morning dawned bright and beautiful, despite the rain from Friday night and we took a hike through the forest and along the waterfalls. 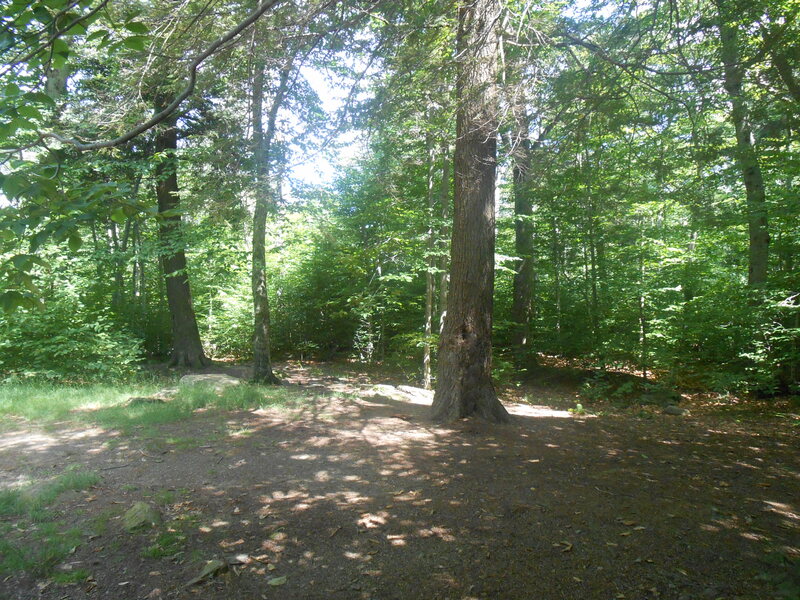 There were trees and green plants, babbling streams, bridges, and more- Such a charming scene in nature. But by far the most magnificent, most glorious creations were the many waterfalls… Some were small, while others spanned the distance of entire boulders. They were absolutely breathtaking and I enjoyed being in the presence of such beauty, taking in the refreshing spray of the water and the sound of the water streaming down. After the hike, we decided to head to the beach where I enjoyed being in the lovely water and just chilling in the shade, making conversation and having ice cream. Back at the campsite, we started preparing dinner and this time I learned how to make a new delectable tasting dessert. 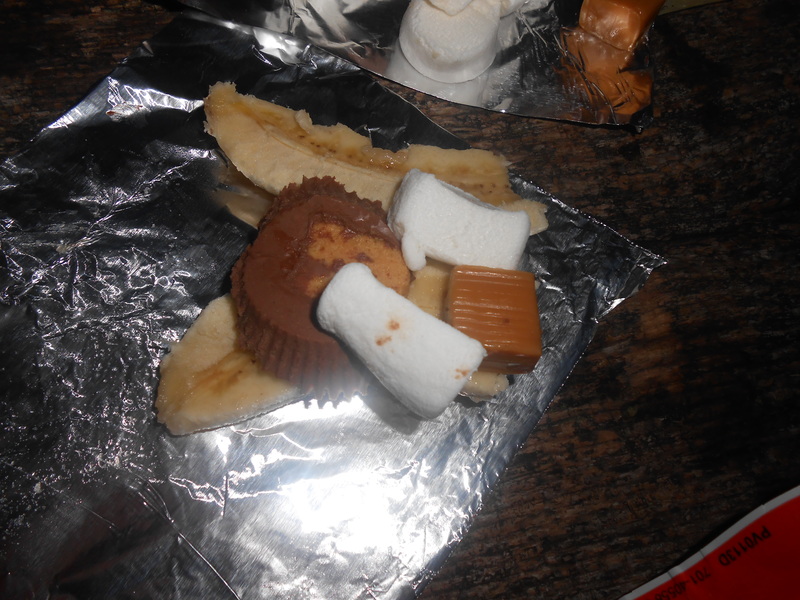 Take a banana, split it length-wise, add a caramel piece, Reese’s Pieces (or chocolate + peanut butter), marshmallow pieces, wrap it all up in tin foil and put it atop the fire for a few minutes until everything is melted together in a wonderful gooey mess. Yes, it is over indulging, but it is so worth it! I had a great 4th of July weekend and hope you did as well! 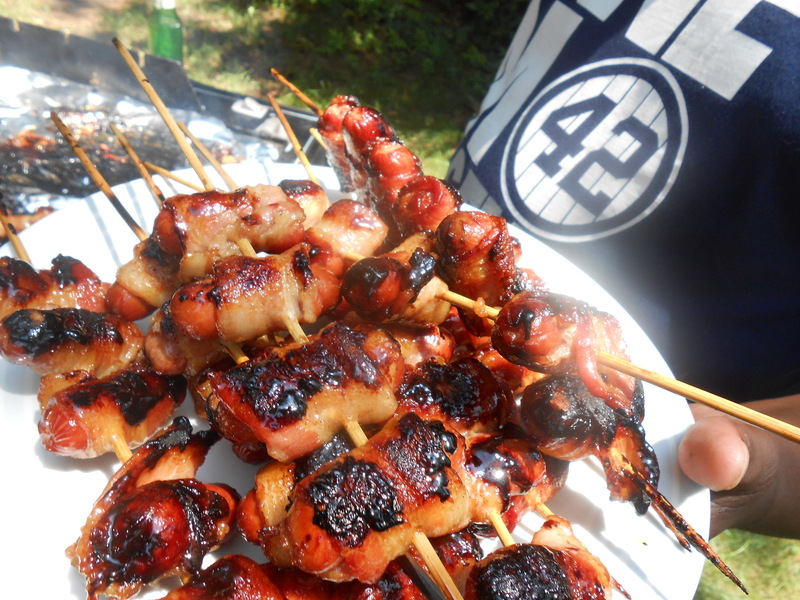 Looks like you had a great time celebrated 4th July, great BBQ and food, pulse great write. I enjoyed read each article. It cannot be missed at all. Thanks Kathy good job!